Hello, Gorgeous! : Teodora B. Giveaway!! I NEED the sparrow print peplum in my life. Perfection! Love the Pleated Cross Hatch Accent Dress, the Yellow Ruched Sleeve Blazer and the V-neck Gold Button Blouse! Navy embroidered blouse - perfect for festival season! Love love love Tedora B! The Red and White Sheath dress is just my style! I'm in luuurve with the Sparrow Print Peplum Top. Gorgeous. I like the Red and White Sheath Office Dress! Thanks! Contrast trim spring jacket! So cute. I would love to get the multicolored print dress with the embellished collar! The contrast trim jacket!! Ahhh! Adorable! I would LOVE the black & white sheath dress!!! I would buy everything but I like the pink pleated cross hatch accent dress and the high-waist office dress in mustard. Too many dresses to decide on just one... love love love! I love the High-Waist Office Dress in Mustard! Just my style. Ooooohhh thank you for introducing me to her website! I'm loving the white and black print pencil skirt. My goal is to have more work wear skirts in my wardrobe! Yasi! Thank you so much for your fabulous, affordable and chic style! You have truly helped me expand my wardrobe without draining my bank account! 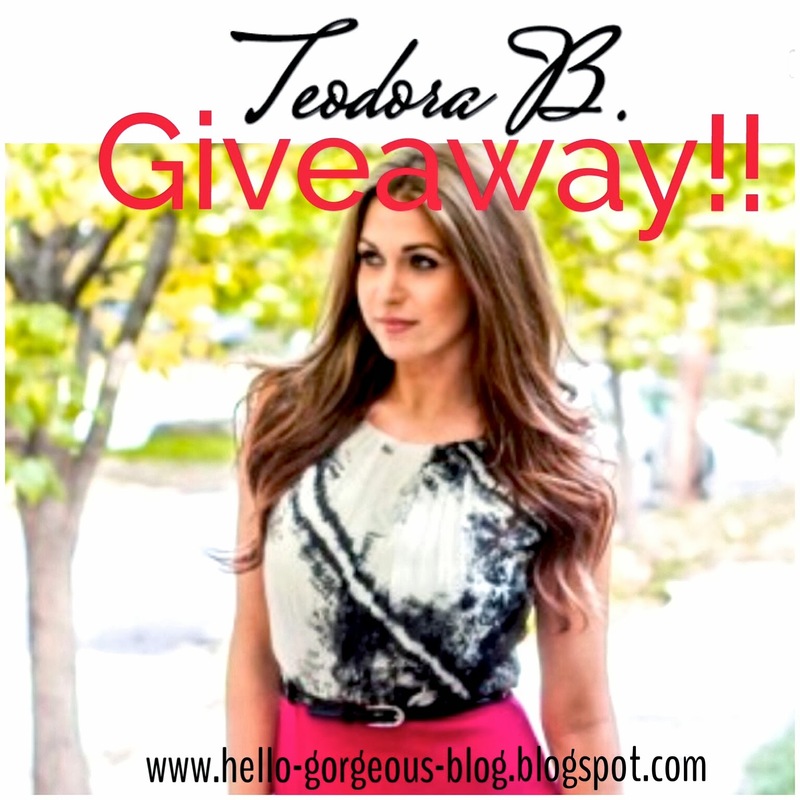 You have introduced me to so many new designers and online stores and it appears Teodora B is another great find (she has some amazing dresses on there that would be perfect for spring!) ! I cant wait to see what you come up with next! Love the navy color block dress! The Plum dress with Tulip skirt and Cut out Top is the perfect mix of trendy, stylish, and sophisticated! Absolutely loving the Black and White Print Dress with Pink Skirt!!! It the absolute perfect dress to go from work to play. Wear it with a simple black sweater and cute flats for work, then trade the sweater for a fitted biker jacket and the flats for killer heels and you're ready for a night out with friends. I am in love with the tulip skirts and the red sheath dress with white piping! Purple Chiffon sweater top! Love it. I would pick the pink pleated cross hatch accent dress! So pretty! I'm loving the Black and White Print Peplum Top with Lace Detail!! So pretty! I love the multi colored dress with the embellished collar!!!! Beautiful dresses! Love your blog! My favorite piece is the PLEATED CROSS HATCH ACCENT DRESS. Eeeek that yellow blazer will be mine oh yes it will be mine! !